CarGurus has 81,188 nationwide Rogue listings starting at $2,900. One of the things that most impresses me about the 2014 Nissan Rogue is the available safety equipment offered at what is a reasonable price. My wife and I both got the impression that the new 2014 Nissan Rogue was designed solely around government regulations, focus-group results and parts-shelf component availability, as though the stylists and engineers were checking items off a list instead of taking risks and going with gut instincts rooted in talent and expertise. Hey, Nissan, that’s how Toyota does it. You guys need to be different, more like Mazda but with a gigantic advertising budget. Americans sure do love them some compact crossover SUVs. The segment is now the third largest in the country, according to IHS Automotive, behind small and midsize cars, and sales have jumped significantly during this past winter of everyone’s discontent. Nissan could not have timed the introduction of the redesigned 2014 Rogue any better. That’s important to the automaker. The Rogue is Nissan’s second-best-selling model after the Altima midsize sedan, and with the company’s stated intent of capturing one out of every 10 vehicle sales in the U.S., the new 2014 Rogue will prove instrumental to hitting that goal. Before discussing my impressions of the new Rogue, let’s set the stage. There are two versions of the Rogue on sale this year. The less expensive Rogue Select model is the old Rogue, a fairly impressive little crossover SUV in its own right. The more expensive Rogue, seen here, is the redesigned model. The old Rogue Select is built in Japan, but the new Rogue is built in America. The old Rogue Select was a model I frequently recommended to friends and family. The new Rogue, well, we’ll get to that in a bit. The redesigned 2014 Nissan Rogue lineup consists of the Rogue S, Rogue SV and Rogue SL trims, each offered with a choice between front-wheel drive (FWD) and all-wheel drive (AWD). Prices start at $23,350 for the Rogue S, including a destination charge of $860, and top out at $33,640 for the Rogue SL with AWD and every factory-installed option. Beyond this, Nissan dealers can add numerous upgrades, including a hatch tent, interior accent lighting, all-season floor mats, a seat-belt extender and more. My test vehicle was the Rogue SL with FWD, painted Gun Metallic and featuring an almond-color interior. Selecting the SL trim level installs leather seats with Quick Comfort heating, a navigation system, a premium Bose audio system and a power rear liftgate. Fog lights, a set of 18-inch aluminum wheels, heated exterior mirrors with LED turn-signal indicators and an Around View Monitoring system are also standard for this model. Options for my test vehicle included floor mats, an auto-dimming rear-view mirror with a compass, a universal garage door opener, a cargo cover, roof-rail crossbars, splash guards, a chrome rear bumper protector and illuminated door-sill kick plates. Additionally, my generously equipped test sample included the Premium Package, containing LED headlights, a power panoramic sunroof, a Blind-Spot Warning system, a Lane-Departure Warning system, a Forward-Collision Warning system and a Moving-Object Detection system. The final sticker price came to $33,645. Getting back to the discourse about the new Rogue, is it just me, or is this vehicle all wrong proportionally? The entire front end looks like it belongs on a larger vehicle, and that signature Nissan character line that swoops up from the headlights and then down into the front doors only serves to magnify the Rogue’s olfactory largesse. The taillights, too, are oversized for a compact SUV, while the gray lower body trim and exaggerated fender blistering serve to make even the SL model’s 18-inch aluminum wheels appear to be too small. Plus, the way that rear quarter window kicks steeply up toward the roof means that any kids you install in the optional third-row seat are going to complain loudly about not being able to see out. No, no, you read that right. 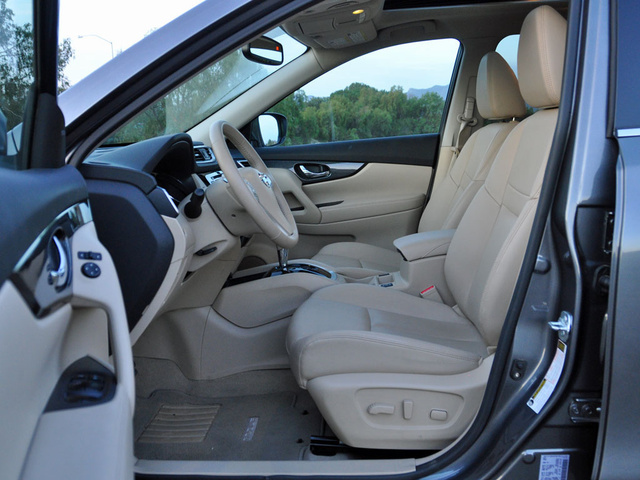 You can get a third-row seat in the redesigned 2014 Rogue, making it the only compact crossover with this feature aside from the Mitsubishi Outlander. To get 7-passenger capacity, you need to buy the Rogue S or Rogue SV and then opt for the Family Package, which includes run-flat tires. This option is not offered for SL trims, because a big Bose subwoofer takes up the space where the third-row seat would go and is mounted within a conventional spare tire. As for the Rogue’s interior design, it employs contemporary textures and finishes, rendered in an inoffensively symmetrical layout for a clean and simple appearance. There are no surprises here, aside from sparkly plastic trim that looks like it fell out of a vending machine at a Chuck E. Cheese. At first, it looks like Nissan is keeping it simple with regard to the new Rogue’s engine and transmission offerings. You can get a 170-horsepower, 2.5-liter 4-cylinder engine and a next-generation Xtronic continuously variable transmission (CVT), and if you don’t like that, buy a different crossover SUV. FWD is standard, with AWD available as an option. Peer a little deeper into the specifications, though, and you’ll find that the CVT offers a Sport driving mode, and that when you get the AWD system it includes Hill Descent Control. Beyond these features, the Rogue is equipped with three new drivetrain technologies that are designed to make the crossover SUV more enjoyable to drive. Active Trace Control employs the stability-control system and the braking system to help make the Rogue feel more athletic when taking a corner and then accelerating. Active Engine Braking does exactly what its name suggests, supplementing braking capability by using engine RPM to enhance braking system performance. Active Ride Control is designed to reduce what Nissan refers to as “head bobble” after the Rogue goes over a bump, by applying the brakes and adjusting engine torque to smooth out the ride. Circling back around to the 4-cylinder engine and the new CVT, the 2014 Rogue’s fuel-economy ratings see a significant bump over the model it replaces. The Rogue Select, last year’s design, is rated to get 25 mpg combined driving with FWD and 24 mpg with AWD. The redesigned Rogue is EPA-rated to return 28 mpg regardless of drivetrain choice. What did I get during a week of driving? A disappointing 24.4 mpg. Now, to be fair, I must note that most (but not all) of my driving was conducted in the suburbs. Even so, I still fell short of the EPA’s city rating of 26 mpg. Better mileage would make the Rogue’s engine and CVT more appealing, making it easier to live with what I can only characterize as “wheezing” when the SUV is accelerating. 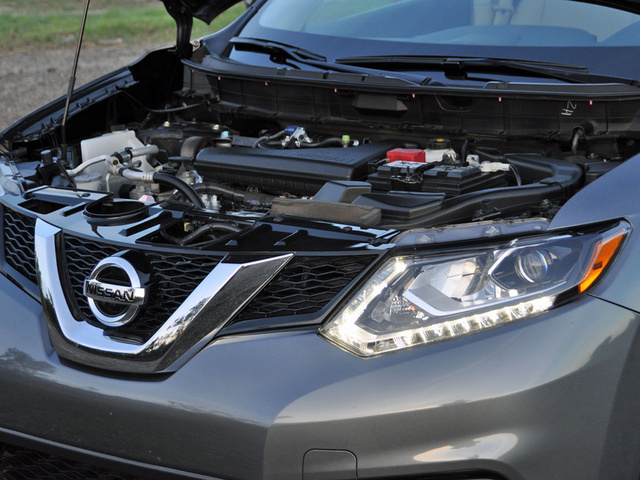 In order to eliminate CVT drone as much as possible, Nissan has calibrated the powertrain to drop revs just as soon as the driver relents on the go pedal, but in traffic the result is an audible wheezing as the driver accelerates and decelerates. That said, the Rogue has no trouble merging onto fast-flowing highways, taking advantage of holes in traffic or powering up a mountain grade at a steady 75 mph. If you’re so inclined, a Sport mode is designed to make the powertrain even more responsive, but I never felt the need to engage it. When coasting down hills, the Active Engine Braking system engages to help maintain a prudent speed, which also means the driver needn’t ride the brake pedal under such conditions. Suspension tuning is on the firm and connected side, and the Rogue displays unexpected athleticism on back roads, powering out of corners with surprising enthusiasm, due, I assume, to the Active Trace Control technology working its magic behind the scenes. The Rogue’s ride can be a little choppy on concrete highway slabs, like when traversing California 23 near my home, but is otherwise agreeable. Plus, the Rogue is remarkably quiet inside at speeds under 60 mph, as long as the pavement is smooth. More granular surfaces produce a bunch of road noise, while the roof-rack crossbars generate plenty of wind noise at speeds over 60 mph. The Rogue’s responsive and communicative brake pedal is easy to modulate, and it is easy to bring the SUV to a smooth stop every time. During my test drive on a country road, I came upon a set of blind, tree-lined, 90-degree turns marked for 20 mph. As I rounded the first curve, I came upon one of those big wood-chipping trucks sitting in the road, the kind that ingests entire branches and turns them instantly into mulch. The Rogue’s Forward-Collision Warning system sprang into action, and I honestly don’t know if the system activated the braking system before my foot jammed down on the pedal. What I will say is that this SUV came to rapid stop, giving me my first real-world experience with this type of safety technology. Count me as a believer. If there’s a dynamic trait that requires greater attention to detail, it’s the Rogue’s steering. Wooden in the driver’s hands, the wheel feels disconnected on center, too heavy off center and lacks precision, resulting in a rather dissatisfying user experience. I had the same complaint about the Nissan Altima a couple of weeks ago. With the exception of the steering, the Rogue is a dynamically capable vehicle, but nothing about how the various mechanical systems work together makes it pleasurable to drive. The lifeless and unnaturally heavy steering, combined with the wheezing powertrain, give the Rogue a drive like that of a mass-market appliance rather than a deftly engineered tool. Ever sampled a Nissan Altima’s “zero-gravity” front seats? They’re terrific, one of the best reasons to choose an Altima over other midsize sedans. Nissan claims that it took the same approach with the redesigned 2014 Rogue, and while it is true that this SUV’s seats themselves are reasonably comfortable, the size and positioning of the driver’s seat makes it hard for taller and bigger people to find a decent position. Look, I’m not the smallest guy on the planet. I could stand to lose a good 50 pounds, and while I’m just under 6 feet in height, I’ve got weird body proportions combining long legs with a short torso. Seriously, I’m lucky to be married. I just reviewed a Nissan Altima two weeks ago, and I loved the seats. Now I’m in the Rogue, and every time I drive this crossover, I can’t wait to get out of it. From my perspective, the driver’s seat is too small, it doesn’t offer enough seat-track travel, and it won’t allow me to dial in the right mix of seat height and thigh support. As a result, I either feel crammed into the Rogue in terms of legroom and freedom of movement, or I feel like I’m sitting on the floor peering out at the world over the steering wheel. Either way, I’ve got so much headroom that I could probably wear several cowboy hats stacked atop one another, and there’s so much windshield on this vehicle that using the sun visors is a must when traveling into the sun. Unfortunately, they’re floppy and won’t stay positioned where I want them. Grrrr. The front passenger seat lacks height adjustment, but sits high enough that this omission isn’t an issue. I actually find the front passenger seat more comfortable than the driver’s seat, perhaps because I am forced to accept its lack of adjustability, in turn eliminating the frustration caused by the power-adjustable driver’s seat’s lack of range. Or maybe it’s because there’s no steering wheel or gauge cluster to use as a relative positioning measure. Either way, I preferred to ride shotgun. I also think the Rogue’s back seat is more comfortable than the driver’s seat. Offering plenty of foot room and space for legs, occupants sit tall with a terrific view out. Unfortunately, Nissan missed an opportunity to really sell families on the Rogue. I’ve got a couple of little kids, one in a booster seat and one in a forward-facing child safety seat. They don’t care one bit about a panoramic sunroof. They do care about watching their new “Frozen” DVD. Plus, it seems like they’ve always got a drink box stuffed into their sticky little fingers. The new Rogue doesn’t offer an entertainment system, and there’s nowhere for a kid to put a drink box so that it won’t spill all over the interior. Ladies and gentlemen of Franklin, Tennessee, you could have molded one right into the plastic on the rear-door armrests! If Nissan decides to make that change, it can also get rid of the leather used in the Rogue SL. It is dry and stiff, not at all as pleasing as the softer leatherette used on the seat sides and seat backs. Beyond this, my test vehicle’s almond-color interior also included almond-color carpets and mats, which are destined to show every speck of grime that gets carried into the vehicle. And when you have little kids, there’s plenty. I’d replace the flooring with black carpets and mats, giving the Rogue a more upscale two-tone appearance in the process. Nissan has tried to make the Rogue a serious cargo hauler, equipping the SUV with a Divide-N-Hide cargo setup in models without the optional third-row seat. Dual panels cover hidden storage areas, and the one closest to the tailgate can be positioned as a divider to hold items in place. The larger panel located deeper in the cargo area can be positioned higher in the vehicle to create a two-tiered storage solution. It sounds complex and convoluted, but I can totally understand why some people might find this an appealing reason to buy a Rogue. If you care only about how much stuff this crossover can haul, and not how it hauls it, Nissan says the Rogue holds 9.4 cubic feet of cargo behind the third-row seat, 39.3 cu-ft behind the second-row seat, and 70 cu-ft behind the front seats. Those are competitive figures. 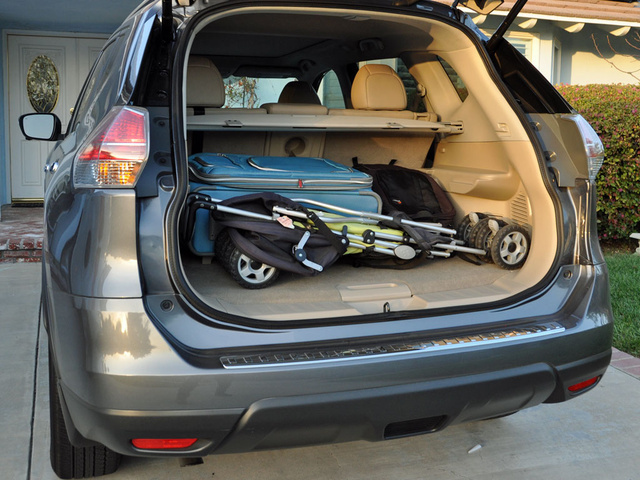 Plus, the Rogue’s front seat can be folded flat in order to carry longer items. Like many mainstream vehicles for sale today, the Nissan Rogue allows its owner to connect a smartphone to the available touchscreen infotainment system in order to run mobile apps, make and receive phone calls via Bluetooth and use a hands-free text-messaging-assistant function to help make driving safer and easier. Nissan calls its system NissanConnect, and it is standard in the Rogue SV and SL trims. NissanConnect offers lots of customization to individual tastes, but even the larger 7-inch screen that was included in my Rogue SL test vehicle’s navigation system offered small virtual buttons and often proved distracting to use. I did, however, find it interesting that Nissan allows the driver to set a speed warning designed to alert the driver when he or she travels too fast. I set this feature to warn me whenever I went 10 mph above the limit, and it worked as advertised. Unfortunately, the Rogue’s speed-limit database had the wrong information for the road I happened to be traveling (Ventura County’s Lewis Road), and so the system produced an inaccurate warning. I shut it off. In addition to NissanConnect and NissanConnect Apps, the Rogue is available with a couple of exclusive features in the small crossover SUV class. The first is an Easy Fill Tire Alert system, which monitors air pressure for all 4 tires and alerts the driver when a tire needs air. What makes it unique is that when the driver stops to fill the tire, the system chirps the Rogue’s horn when the proper pressure is reached, eliminating the guesswork often associated with this process. 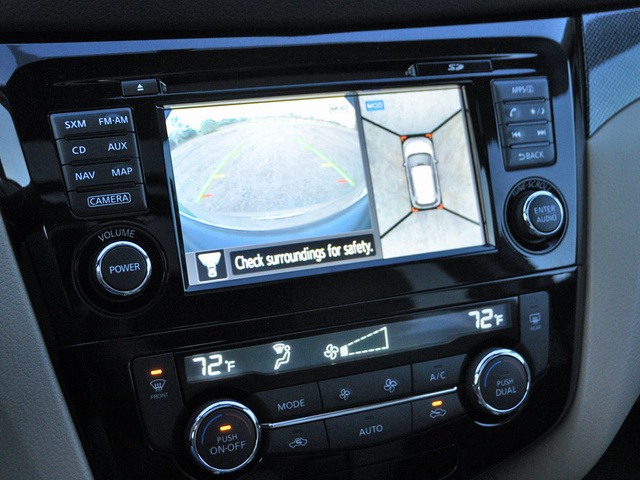 Additionally, the Rogue’s available Around View Monitor gives the driver a top-down view of the SUV and its surroundings, helpful when maneuvering in cramped parking lots or garages, when parallel parking and so forth. One of the things that most impresses me about the 2014 Rogue is the available safety equipment offered at what is a reasonable price. Standard equipment includes a reversing camera and a hands-free text-messaging assistant, and the Rogue SV adds smart automatic headlights as standard equipment. Unfortunately, Nissan uses a low-resolution reversing camera that almost makes it harder to reverse with any degree of confidence. Choose the Rogue SV model and add the optional Premium Package ($1,420), and the SUV includes a navigation system, an Around View monitor, Lane-Departure Warning, Blind-Spot Warning and Moving-Object Detection for a very reasonable $26,510. A Forward-Collision Warning system is available exclusively for the Rogue SL model, bundled in a Premium Package containing the same safety-related systems listed above. So equipped, a Rogue SL requires a buyer to spend a minimum of $30,920 for all these features. As far as crash-test performance is concerned, the Insurance Institute for Highway Safety (IIHS) gives the new 2014 Rogue a Top Safety Pick rating for all trims, while the Rogue SL with the Premium Package earns a Top Safety Pick+ rating for its available Forward-Collision Warning system. 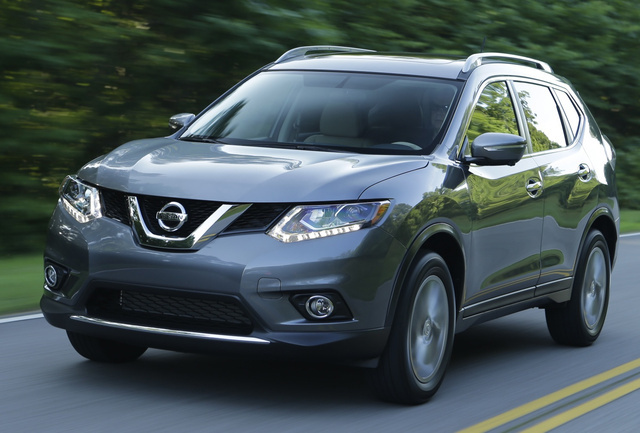 The National Highway Traffic Safety Administration (NHTSA) had not yet rated the Rogue as this review was written. The new 2014 Nissan Rogue is completely redesigned and gets built in a different factory in a different country by different people using different parts than the old version. As a result, it is difficult to predict how well it will perform in terms of reliability, cost of ownership and other key value-related factors that might otherwise be based upon the previous version of the model’s performance. With that in mind, there are clues to consider, starting with official fuel-economy ratings compared to my observed fuel economy. I got 24.4 mpg, short of the EPA’s 26-mpg city rating—and I didn’t spend all my time driving in the city. Beyond that, Consumer Reports thinks the new Rogue will ultimately prove to be relatively inexpensive to own and operate, and ALG says most Nissans hold their value at average or better levels over time. As far as reliability is concerned, Nissan as a brand does not perform as consistently as some competitors but has generally demonstrated a propensity to deliver above-average dependability. What you want to know is whether or not you can get a deal on the new Rogue. Early on, Nissan is offering a lease for the Rogue SV AWD at $239 per month for 36 months with $2,599 down. TrueCar says dealers are selling the 2014 Rogue for a few hundred under invoice, but larger discounts are unavailable, because Nissan isn’t offering rebates for this SUV. 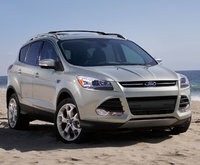 Once inventories of the 2013 model are cleared, chances of larger discounts will be greater. 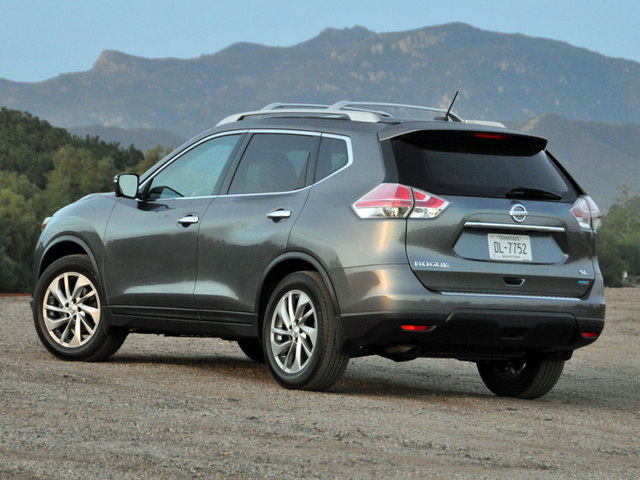 What's your take on the 2014 Nissan Rogue? jabert0131 I have to disagree with your overall assessment of the 2014 Rogue. I just took delivery a few weeks ago and switched from a Honda CR-V because I thought that that the Rogue was better-looking and offered more safety features. I don't find myself nearly as critical about the Rogue. I think the tire size is just fine, as are the overall looks of the vehicle. James I also disagree with most of Mr. Wardlaw's assessment of the Rogue. I just bought a 2014 SL after looking at everything else in the segment (and some outside it). In my opinion, the new Rogue is the nicest small crossover currently available. I wanted a comfortable, quiet, technologically current, fuel efficient vehicle capable of carrying four adults on a long road trip or hauling oversized stuff from Home Depot or Ikea. I found the Rogue offers what feels to be the most vehicle for the buck. Overall, my SL model drives and rides like a much more expensive vehicle and I like that. mybelldeals I have 2014 Nissan Rouge SV [7passenger] .My average mpg in city is between 20~21mpg for past 6 gas refills. I am so dissapointed.It is not even close to EPA ratings. I don't do hard braking nor fast accelration. My driving is 80% is city and 20% highway. Any suggestions to improve this. sserio I compared the Honda CRV to the 2014 Rogue and the Rogue won! Love the vehicle! 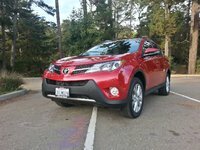 Does great in the snow and has a very comfortable ride for a small SUV.Im also getting great gas mileage! scottfreatis Chris, you are dead on about the driver's seat. Because its only 6-ways adjustable you cannot raise the front of the seat for thigh support. Also, the seat itself is too small. The front of the seat ends mid thigh for me. I was able to stash about 14 washers under the front seat bolts to get some thigh support but still overall not a comfortable seat. I'm debating whether i should have some custom seats installed. Rayudu Very good review, Mr Wardlaw. I have read the review before I bought Rogue SL/ premium. It has good technology and great features. However, I am disappointed with the driver seat. Its the most uncomfortable and they advertise that they have designed these 0 gravity seats inspired from NASA . With hard leather, you will be sliding on the seat when you are turning the car and it doesn't have thigh support. I wish it didn't have leather seats and this 0 gravity. Passenger seat is good and back seats are excellent. Looks like Nissan has manufactured this for chauffeur driven in countries like India with the owner in the back seat. 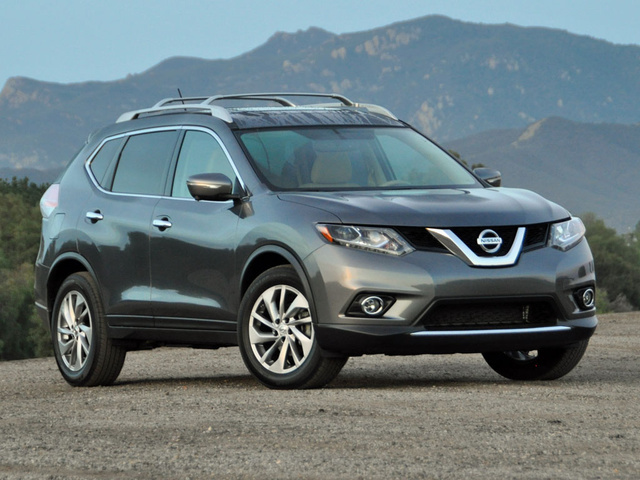 Users ranked 2014 Nissan Rogue against other cars which they drove/owned. Each ranking was based on 9 categories. Here is the summary of top rankings. 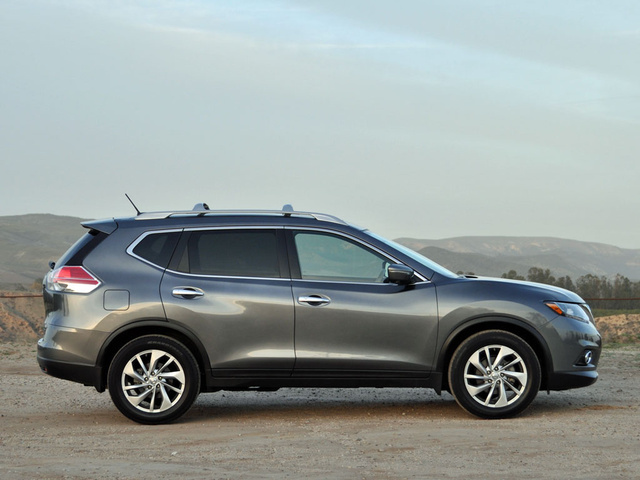 Have you driven a 2014 Nissan Rogue? How can I send messages. If it doesn't pop up when you send does it mean it send. Also if what you wrond is still in the box where you type to the buyer or seller does it mean it sent??? 2014 Rogue Sunroof not functioning. Tried the reset on the button, motors go thru test and it tilts open. I can get it closed but that is it. Could this be a bad switch or is the sunroof stuck?